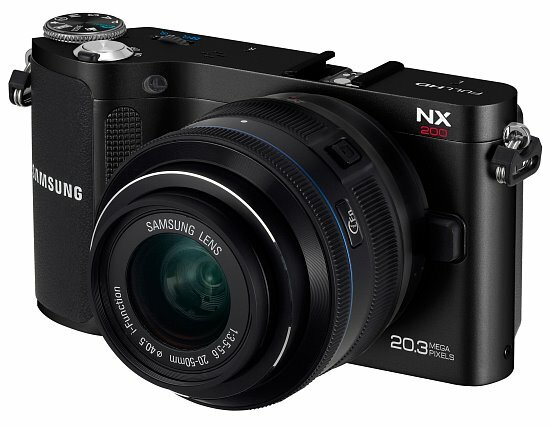 Samsung has released their sexiest NX-series camera to date (9/2011), with the introduction of the NX200. This sleek and stylish camera boasts some impressive specifications, all of which are packed into a very compact shell. Most importantly, the NX200 sports an APS-C sized, 20-megapixel CMOS image sensor, which offers resolution that is only found on a select few cameras of this size. The NX200 is loaded with all of Samsung's latest technologies, like Smart Auto 2.0, Smart Filter 3.0, Magic Frame 2.0, and 3D photo options (still and panorama). Images are framed and viewed on a beautiful 3.0-inch AMOLED display; which comes as no surprise when you consider this camera is made by Samsung. Samsung's NX system keeps growing and growing, and not only with new camera bodies. The company has also released nine new NX mount, i-Function lenses to go along with the NX200; and past NX models. These include a newly designed 18-55mm OIS kit lens, a 16mm f/2.4 pancake, an 18-200mm zoom lens with voice coil AF motors for more silent AF, 20mm and 30mm f/2.8 pancake lenses, a 60mm Macro f/2.8 SSA lens, and an 85mm F/1.4 SSA lens to name a few. 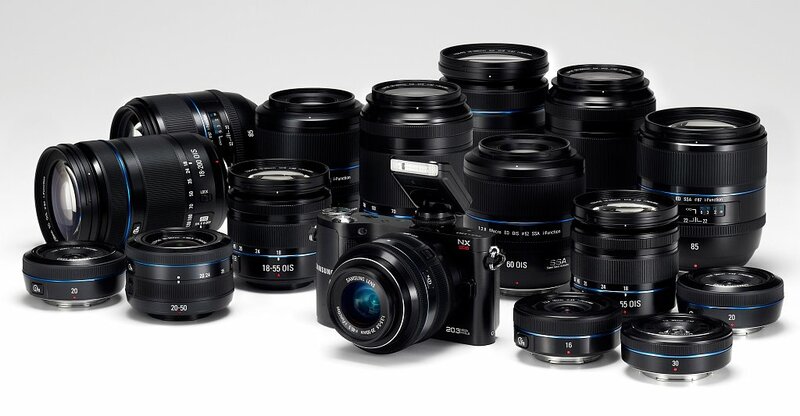 With these new offerings, the Samsung NX system now has 17 lenses for you to choose from; and we were worried about lens options a couple years ago when Samsung announced their first EVIL camera, the NX10. We hope to get our hands on a NX200 in the very near future, so stay tuned as we patiently await an eval unit for some testing. 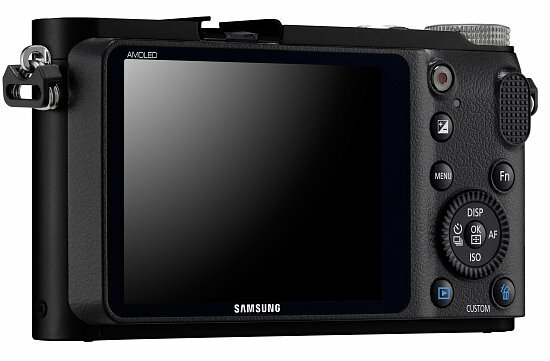 The NX200 will be available sometime this fall, with a suggested retail price of approx. $799 US with the new 18-55mm OIS kit lens.